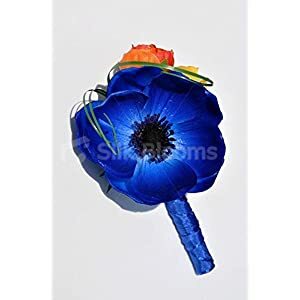 This fun buttonhole will be a pop of fresh colour at any wedding: Realistic blue anemones are paired with colourful rose buds. 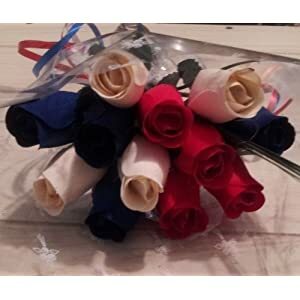 This buttonhole would suit any groom or groomsman. 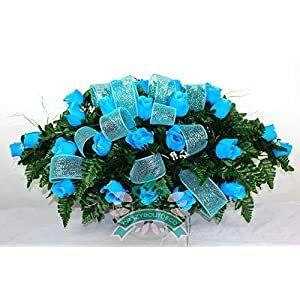 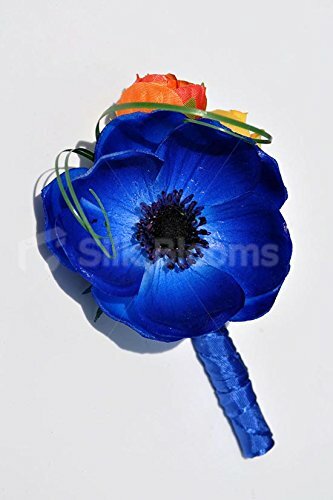 The stems are wrapped in a vibrant blue ribbon. 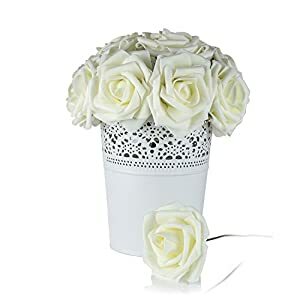 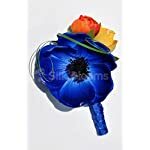 We can match our artificial wedding flowers to any colour you like, just send us a swatch! 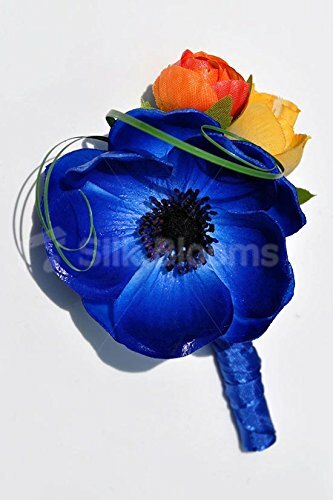 Flowers, ribbon colours, and style can be customised to suit your theme. 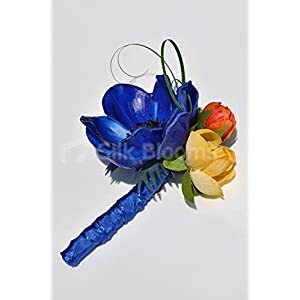 This buttonhole is ideal for a colourful summer wedding. 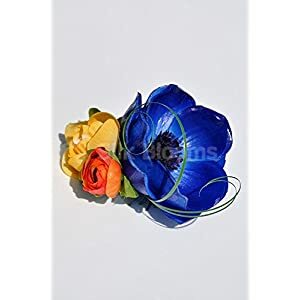 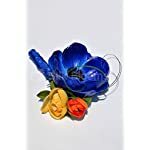 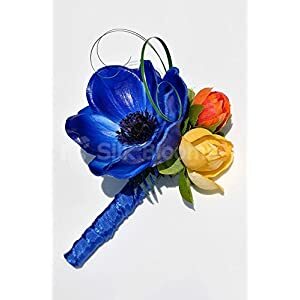 This a laugh buttonhole shall be a pop of unpolluted color at any marriage ceremony: Practical blue anemones are paired with vibrant rose buds. 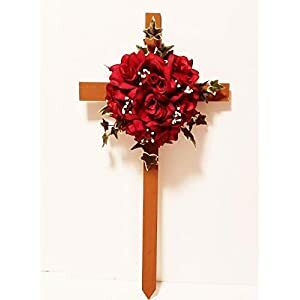 This buttonhole could go well with any groom or groomsman. 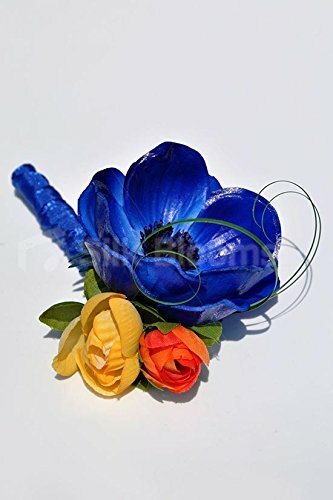 The stems are wrapped in a vibrant blue ribbon. 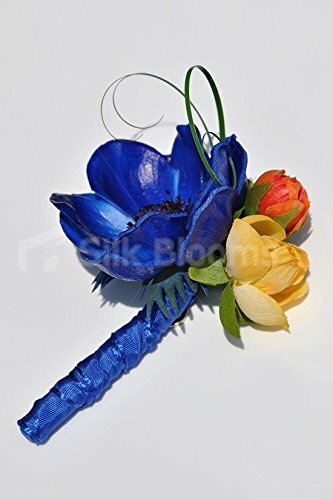 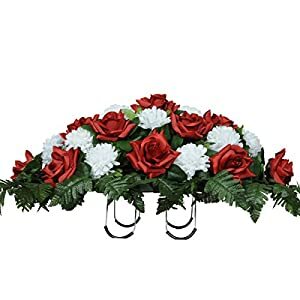 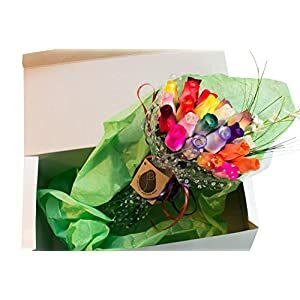 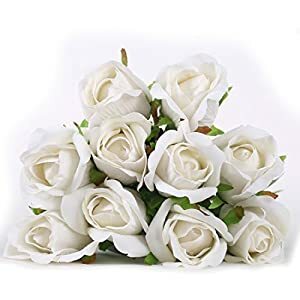 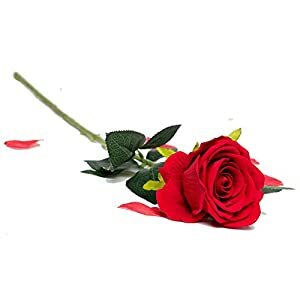 We will fit our synthetic marriage ceremony Plant life to any color you favor, simply ship us a swatch! 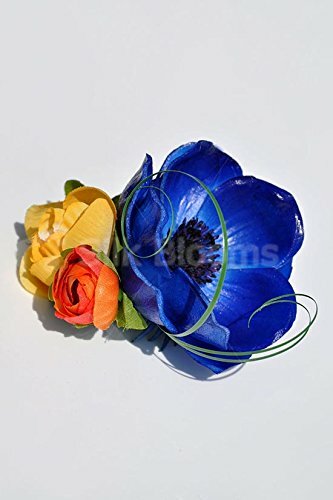 Plant life, ribbon colors, and magnificence can also be customised to fit your subject matter. 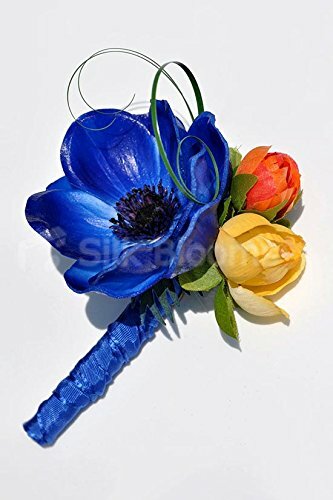 This buttonhole is perfect for a vibrant summer season marriage ceremony.